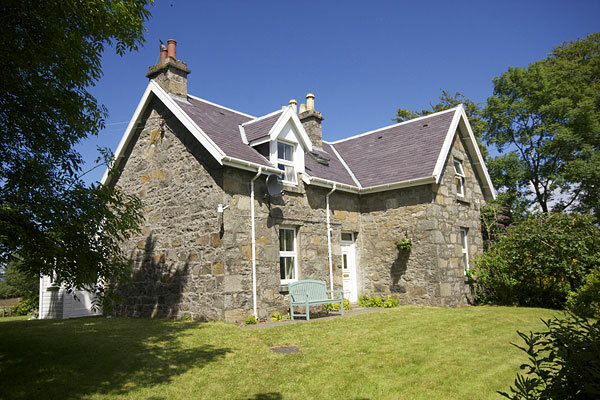 The cottage is part of the old customs house in the village of Salen on the Isle of Mull. 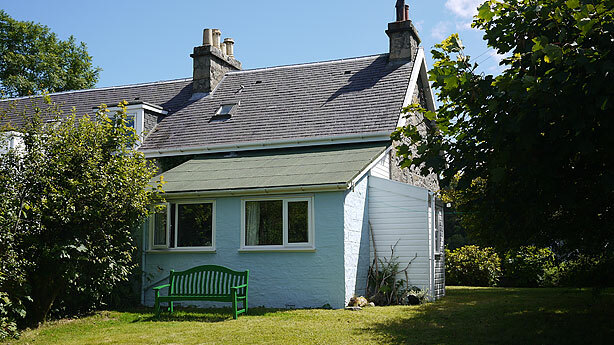 The cottage is over 100 years old, it has been carefully restored and enjoys double glazing throughout and affords clean and cosy holiday accommodation. There is off road parking on the drive in the garden. Views from the cottage look out to the Sound of Mull. 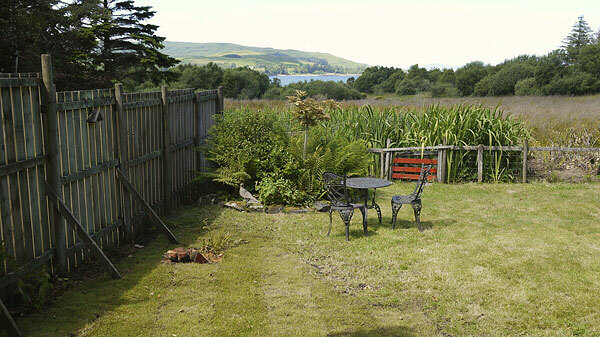 The cottage is centrally situated on the West coast of the Isle of Mull. The Isle of Mull is a bird watchers paradise. It is an island of contrasts with mountains, woodland, beaches and 300 miles of coastline to explore. 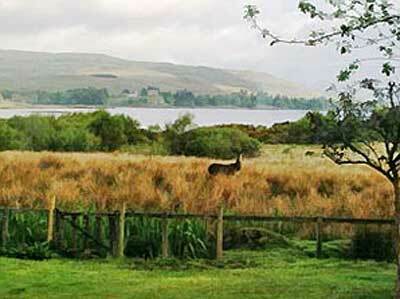 Deer sometimes visit the the field at the back of the cottage. Otters can be seen with patience in the margins of many lochs and in Salen Bay. Seals are also seen there. Spectacular views of eagles are not unusual. Minke whales, humpback whales harbour popoise and dolphins and basking sharks can occasionally be seen around the coast.